This entry was posted in 2010s, Anti-White, Bilderberg Group, Genocide, Globalisation, Government, Immigration, Jews, Multiculturalism, New World Order, NWO, Politics, Racism, Uncategorized, Zionism and tagged 1%, 99%, Bilderberg Group, corruption, Global, Globalisation, Golden Dawn, Government, Labour Party, multiculturalism, New World Order, NWO, White genocide, zionism, zionist, zionists. Bookmark the permalink. ← The Guardian Newspaper Exposed! 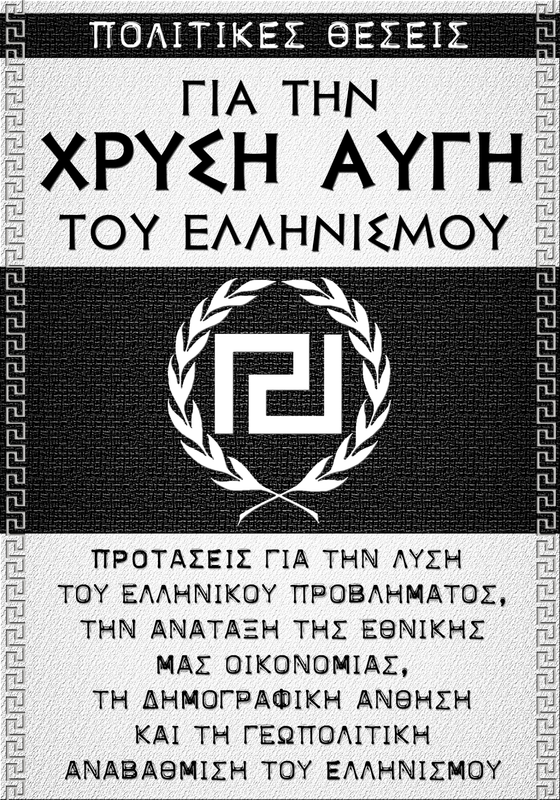 Golden Dawn are a great Patriotic group. Globalisation is a spent force as the world today has become awake. The hateful vision of Globalisation will remain just that: a fantasy – and that’s a good thing that they are doomed to failure. Smash the Marxists/Globalists! Very useful details. Hope to see more blogposts soon!